DJ CAISE COMPLETES MTV AFRICA ALL STARS LINE UP WITH SNOOP LION, 2FACE, DBANJ, OTHERS! Durban music lovers are gearing up for the concert of a lifetime and a full scale all star invasion as organisers and musicians involved with MTV Africa All Stars KwaZulu-Natal with Snoop Lion, start arriving in the city. Plans are hotting up for the urban beat-fest being staged jointly by KwaZulu-Natal Province and music channel MTV Base (DStv Channel 322). The concert will feature live performances by urban giant Snoop Lion (formerly known as Snoop Dogg) and an all star lineup from across the continent including 2Face, D’Banj, Fally Ipupa, Flavour, Professor, Big Nuz, Camp Mulla, Zakes Bantwini and Zahara. In addition, two of South Africa’s biggest DJs have been signed up for the concert, with DJ Tira and DJ Cleo guaranteed to keep the crowd on their feet at the awesome open air gig. 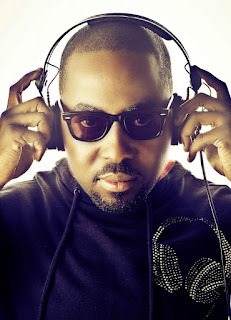 They’ll be joined by Nigeria’s DJ Caise (@DjCaise), creator and leading exemplar of the “Gidihousemusic” scene. In addition, Dr. Duda, J’something and Mo-T, otherwise known as multiple SAMA award winners and dance music phenomenon Mi Casa, will be thrilling fans at the official MTV Africa All Stars pre-party at Moyo on 17 May. Stars, crew, media, dancers and celebrities are flying in from all over the world for the All Stars gig. Work has already begun on building the giant concert stage at People’s Park, Moses Mabhida Stadium, with MTV staff and contractors working round the clock to deliver an out-of-this-world live music experience. For an awesome preview of what to expect at MTV Africa All Stars, check out the highlights of the MTV Africa All Stars club tour, airing on MTV Base (DStv Channel 322) on 17 May. Featuring high octane performances from Africa’s biggest live performers, the series takes music fans on an urban music odyssey to Nairobi, setting for the Kenyan leg of the MTV Africa All Stars tour (DStv Channel 322, 17 May @ 16.00 CAT). To find out more about the MTV Africa All Stars KwaZulu-Natal with Snoop Lion, please go to www.mtvbase.com, join us on Facebook at www.facebook.com/MTVBaseVerified, or follow us on Twitter @MTVBaseAfrica, using the hashtag #AfricaAllStars.